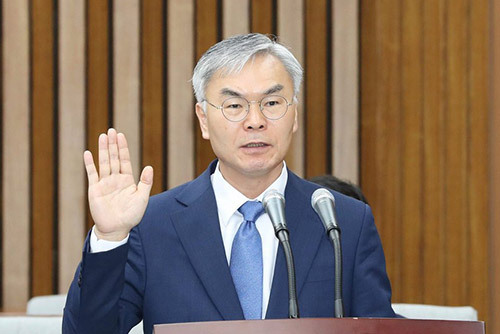 Supreme Court nominee Kim Sun-soo says it is too early to draw a conclusion on the National Court Administration(NCA)’s alleged political interference under the previous Park Geun-hye administration. Facing a barrage of questions about key court-related issues during his confirmation hearing at the National Assembly on Monday, the nominee was careful with his answers in an apparent bid to not create an unnecessary controversy. Kim was asked about his thoughts on suspicions the top administrative court tried to make deals with the presidential office under the former government to “prevent unpredictable rulings” on politically sensitive trials in return for support to establish a new appellate court. In response, he said it is difficult to conclude such attempts were made, given the results of the investigation so far. However, he was quick to add that further investigations are needed to reveal the truth. 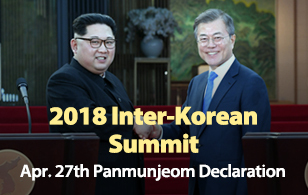 Kim was also asked about controversy surrounding the Defense Security Command's plans for a possible declaration of martial law during last year's anti-government protests. The nominee said authorities should thoroughly look into the case and take due measures over any wrongdoings that are revealed. But he declined to answer a question about whether the DSC should be punished for rebellion or insurgency, saying it is not proper to make a conclusive statement on the issue. The civil rights lawyer once represented the ultra-left Unified Progressive Party before it was dissolved by the Constitutional Court in December 2014.